Saturday, July 26th marked day 16 of our trip, and began with the steady downpour of rain! 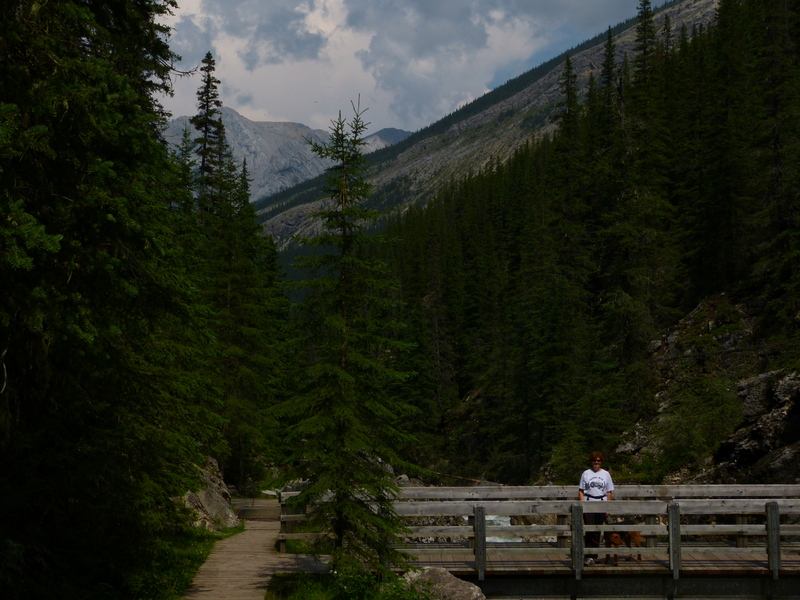 It was to be a travel day, we had to leave Jasper NP and head for Lake Louise via the Columbia Ice Field. The rain had just about stopped by the time we arrived at the Icefield. 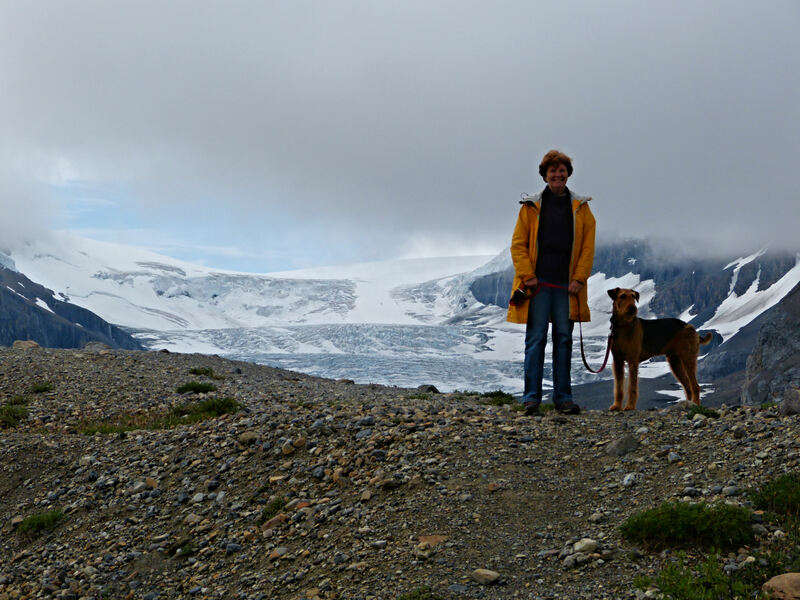 Charlie, WB and I walked out on the ice field and spent quite a bit of time looking at where the glacier had been decades ago. We also visited the visitor center, though WB had to stay in the camper. 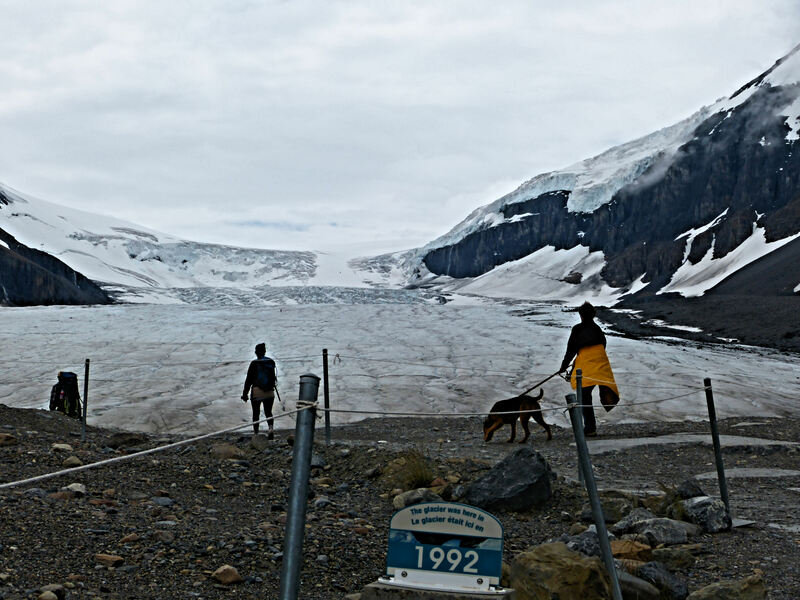 The Columbia Ice Field, note sign telling where the ice ended in 1992. The highway itself was magnificent, with views of non-stop mountains covered in snow! Our campsite, #134 at Lake Louise campground. 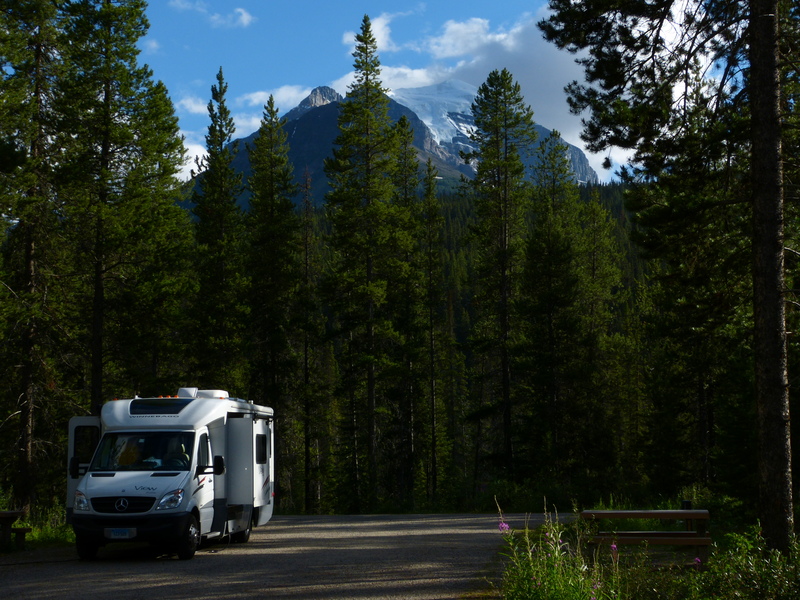 We pulled into Lake Louise campground at about 4 pm and put up our screen house. We were at site 134, near the end of the campground and close to the river and walking paths. The river area adjacent to our site was posted with Grizzly warnings. I knew I would need to be alert when walking Woolly by the river, and brought the canister of bear spray with me for early morning and late evening walks. However, despite all the warnings, and despite traipsing on all the trails adjacent to our camp area, we failed to see a Grizzly! Wooden bridge over river at campground, complete with Grizz warnings. This entry was posted in Uncategorized on July 2, 2013 by Ramblin' Rose.